A fun and comprehensive class that covers 2 different types of aerial apparatus. Finding the differences and similarities in shapes and transitions between the two. 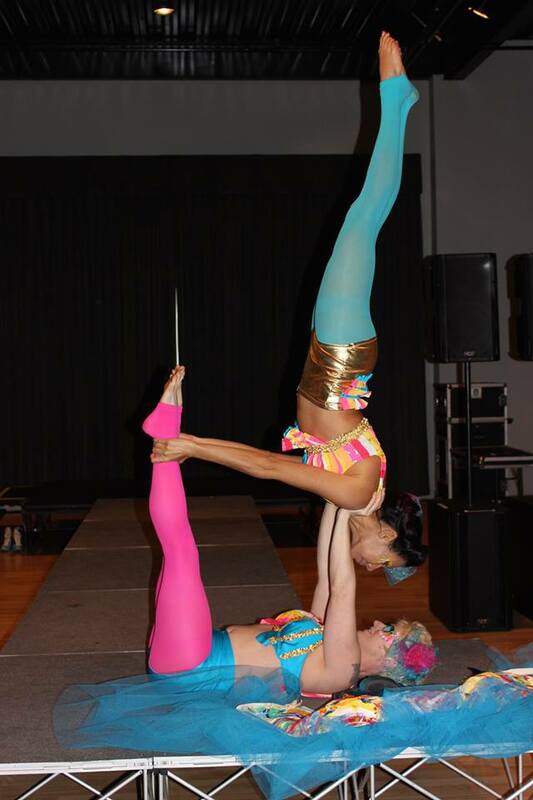 Static trapeze and aerial hoop are both in the “horizontal” or “bar” category of aerial disciplines. We combine both of these apparatuses as their movement vocabularies are similar and complementary. Mariel will be available for private or small group class by appointment Sunday morning as well. Send a private message to reserve a time. Mariel a la Mode learned the ropes early growing up with her family in the circus, performing with Carson & Barnes, Franzen Bros and The Reynolds Family Circus. 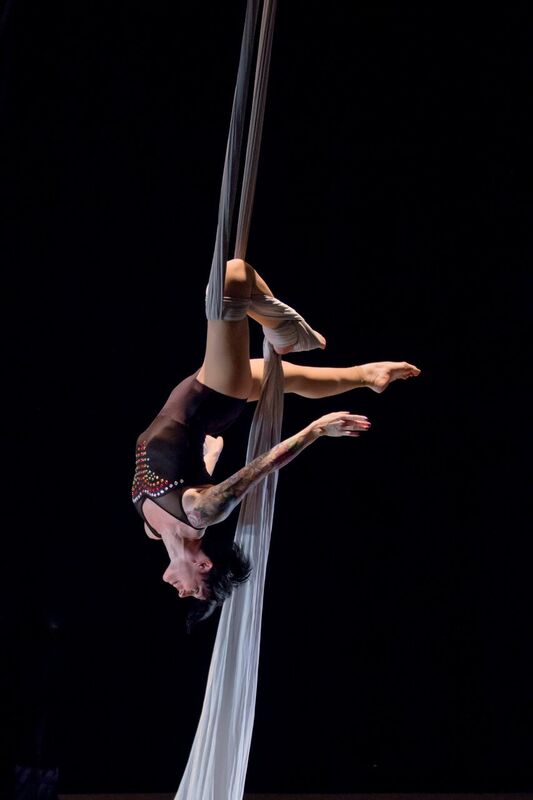 Since then went back for “graduate studies” at San Francisco’s Circus Center, studying aerial with Helene Turcotte and Elena Panova and Mongolian Contortion with Serchmaa Byamba. She has continued performing ever since in such various venues as Teatro Zinzanni, Circus Flora, The Stockholm Burlesque Festival, opening act for Willie Nelson, to a Superbowl commercial with the cast of Glee.